Our body oils not only nourish and soften your skin but clean it as well. Our products are specially formulated to benefit the skin by ridding it of toxins and impurities such as cigarette smoke and pollutants while reaching through its dermis and working to moisturize and nourish it from the inside out. Possessing anti-inflammatory properties, the ingredients have been found effective in the treatment of inflamed and wounded skin. These oils can also aide in the treatment of skin conditions such as eczema, psoriasis, skin bumps and acne. Used as a massage oil, they can be beneficial for improving joint and muscle pain, detoxifying your skin and improving elasticity. The aromas were chosen for our oils in order to promote a sense of well-being and calm. 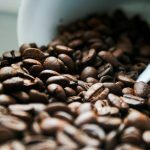 In one step we can clear a path to a healthier brain and skin. To use as a body oil after showering rub into the skin while still warm and moist then towel dry. To use as a massage oil rub into dry skin until absorbed. As with any new product, always test a small amount on a small patch of skin to ensure no skin irritation. 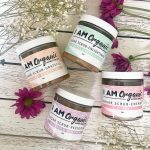 I was introduced to I AM Organic products about a year ago. Their products are great! The body oil is my favorite. It makes my skin feel so smooth and did so after just one use. I use the sugar scrub as a buffer for when I shave my legs and then the oil right after. I use the oil every day instead of lotion. The smell of the oil is awesome as well as their other products. I love the whole product line. 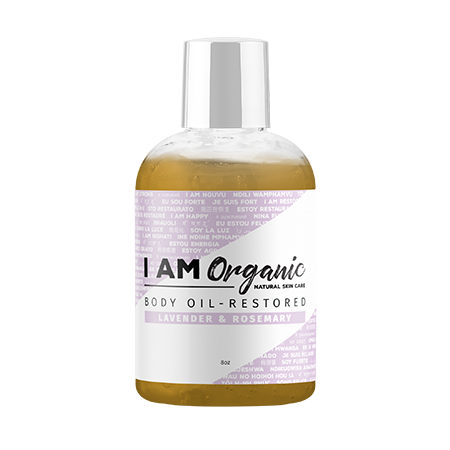 I would recommend I AM Organic for all skin types. After one use, users will feel a difference in their skin and will be so satisfied with the results! I use the body oil after a shower or bath and at the end of the day I still feel my skin is a lot smoother than it ever has been. I also am a certified massage therapist and started using this product on my clients. I love it, it allows me to work on their body’s without being too greasy. They leave the appointments feeling soft, not oily! These products work and best of all they are not harming my body with any chemicals. They fit into my healthy lifestyle routine that I provide for my family. Thank you I AM Organic!! I really enjoy your Body Oil! It makes my skin soft and has helped drastically with my dry “winter skin.” I like that it’s a dry oil, so I don’t have to worry about it getting on my clothes and leaving spots. I like to use the Body Oil everyday right out of the shower. A little goes a long way, plus my husband likes the soft and natural smell too! My silky legs thank you!! !